Our cruising region is comprised of hundreds of islands ranging from small rocky outcrops to large forest-clad and mountainous masses. The waters are rich with seafood... salmon, rockfish, scallops, Dungeness Crab, mussels and clams. Wildlife abounds on the land and in the sea. You're just as likely to encounter tiny squirrels, deer and migratory birds, as you are to see seals, Sea lions, and Orcas. Have you ever seen a whale breach... heard the whoosh of air exhaling through its blowhole or been amazed by the sheer beauty of a pod of Orcas gliding through glassy waters? 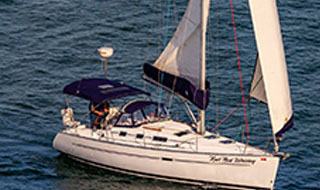 Depart from Anacortes and cruise to quiet Aleck Bay on the south end of Lopez Island. Pick a spot to anchor off the south shore. Catch a crab dinner and enjoy the sunset for your first day afloat. An early departure gets you to this fascinating provincial capitol in time to begin exploring. After checking into Canadian Customs, moor in front of the majestic Empress Hotel. Afternoon tea, gourmet restaurants, duty free shops, bag-pipers, and a world-class museum are all just steps from your boat. After a leisurely morning in Victoria set your course around Discovery Island and north to Roche Harbor. This large and well-protected anchorage is just north of Roche. En route, watch for the abundant Orca whale pods that frequent this area especially in the spring and early summer. Stuart Island, which surrounds this harbor, has terrific hiking trails with vistas across the shipping lanes. Set a course east and south to this the "capitol" of the San Juans. 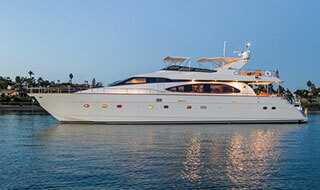 The town knows how to please the boater with gourmet grocery stores, restaurants and shops of every variety. 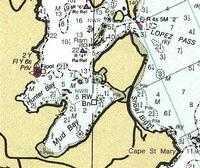 Meander through the San Juans into Lopez Sound for a quiet anchorage at Hunter Bay. 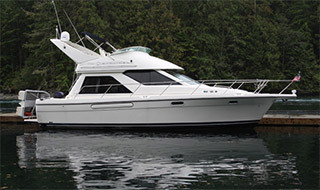 Catch a Dungeness Crab dinner and savor a peaceful evening "on the hook" or a mooring buoy. The final day return to Anacortes offers a breathtaking view of majestic snow capped Mt. Baker in the distance. 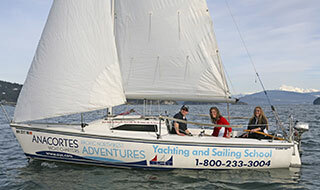 Take time to plan your next AYC charter.